"MAX" is exactly what it says ... so much can be done using this product line. 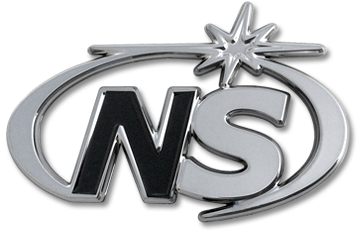 It can be your typical formed emblem or it can be enhanced with additional top graphics, such as an ORA Dome™ or simply textured vinyl. ORA offers a variety of patterns and colors to enhance your logo or emblem. Low quantity runs are also an advantage with our ORA Max3D™ product line. Check it out today. 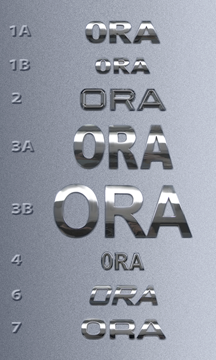 The ORA Dome™ or ORA Max3D™ is applied in the recessed area of the Chrome Bezel. Shown are just a few of the possibilities.